Bees are the darlings of the insect world. It is a joy to see these insects hard at work, peacefully buzzing from flower to flower. Many people recognize the worth of bees, as well as that they face multiple threats. But very few know about the diversity and importance of Australian native bee species. There are an estimated 2,000 to 3,000 bee species in Australia, yet we know very little about the vast majority of these and there are many that are yet to be described. Bees of Australia introduces some of our incredible native bees, many of which, if you look closely, can be found in your own garden. Open this book wherever you like or read it from cover to cover. 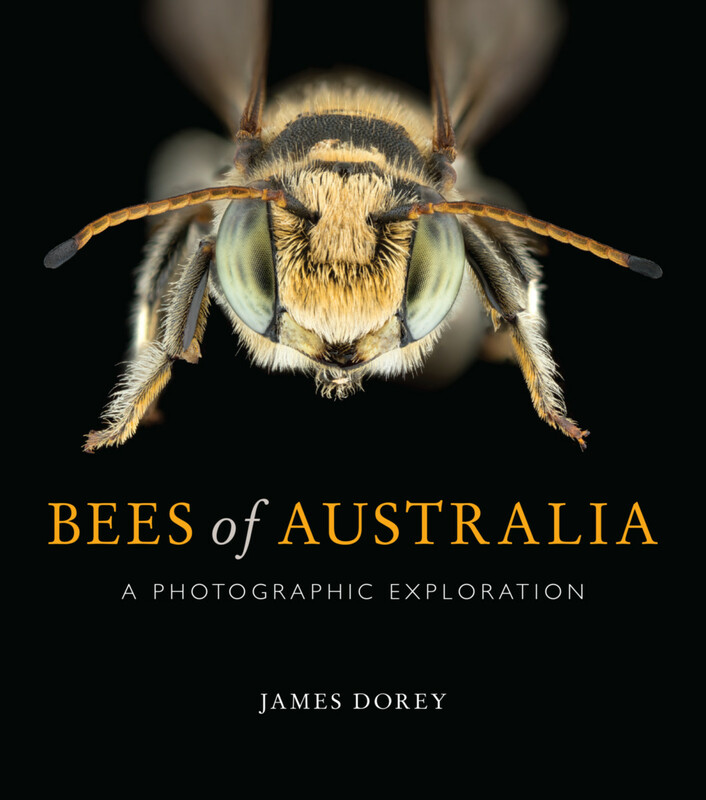 The combination of photography and contributions from some of Australia’s leading bee researchers allows anyone to become enthralled by our native bees. Don’t be surprised if you find yourself looking closer at every flower that you pass in search of our wonderful native bees. James Dorey is undertaking a PhD on the evolution, taxonomy and ecology of Australian native bees at Flinders University, Adelaide. His stunning macro photographs have been published in books and magazines, and have been honored in national and international photography competitions. He is amazed at the hidden diversity of bees.